Another Mother's Day card today. I'm really getting a good stash of these ready for work - sold one already. With this one I used the new Winter Wisteria cardstock from Papertrey Ink. I wasn't too excited that the new color released in April was a purple. I really, really want a medium gray! Then I saw Winter Wisteria in real life - very pretty purple. 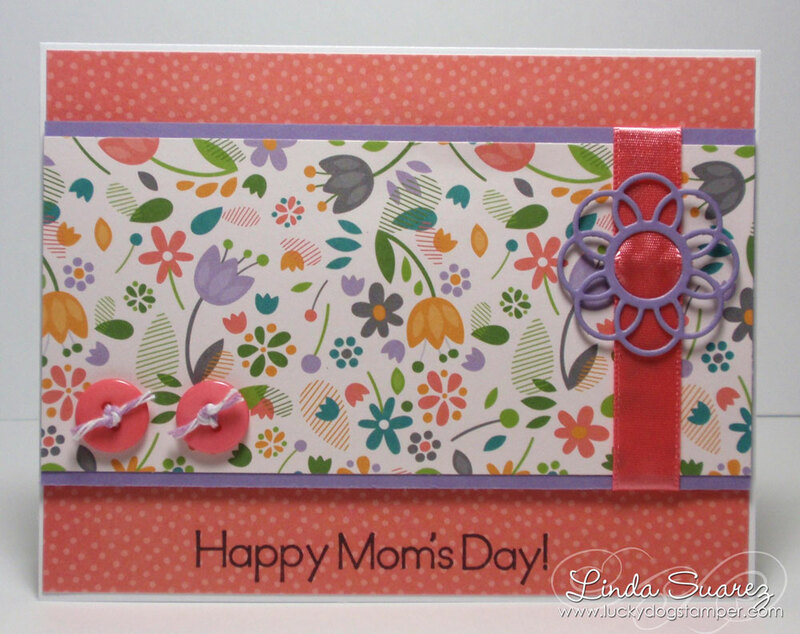 And it matched the patterned paper I used for this card, so I got to use it right away. Check it out! See the pretty "buckle" on the ribbon? It's part of an awesome set of dies from Taylored Expressions - Fancy Buckles. So cute! Perfect for this sketch from Card Patterns - Sketch #162.